The National University of Ireland (NUI) (Irish: Ollscoil na hÉireann) is a federal university system of constituent universities, previously called constituent colleges, and recognised colleges set up under the Irish Universities Act, 1908, and significantly amended by the Universities Act, 1997. The constituent universities are for all essential purposes independent universities, except that the degrees and diplomas are those of the National University of Ireland with its seat in Dublin. In post-nominals, the abbreviation NUI is used for degrees from all the constituent universities of the National University of Ireland. Queen’s Colleges at Belfast, Cork, and Galway were established in 1845; in 1849 teaching commenced and a year later they were united under the Queen’s University of Ireland. The Catholic University of Ireland was created as an independent university on 3 November 1854 for the education of Catholics, this university however was neither a recognised university nor offered recognised degrees. In 1880 the Royal University of Ireland took over the degree awarding functions of the two former universities and offered recognised degrees to the graduates of the new University College Dublin and St Patrick’s College, Maynooth, previously awarded under the Catholic University. The Catholic University became University College Dublin in 1882 under the direction of the Jesuits and its students, in the 1890s achieved more distinctions than their counterparts in Belfast, Cork and Galway which were established as secular institutions. The 1908 reforms created the National University of Ireland and a separate Queen’s University of Belfast. The Royal University was dissolved in 1909 and in 1910 Maynooth became a recognised college of the NUI. Initially the National University unlike the Royal University did not award degrees for part-time or external students, however like the Royal University the National University was still banned from awarding degrees in Theology. In 1975 the teacher training colleges of Carysfort College, Blackrock, St. Patrick’s College Drumcondra and Mary Immaculate College, Limerick became recognised colleges of the NUI, as was Thomond College of Education, Limerick for 1976 and 1977. In 1978 St. Angela’s College, Sligo became affiliated to the NUI. In 1996 the National College of Art and Design became a recognised college of the NUI. The 1997 reforms restructured the National University of Ireland, and an additional university at Maynooth was created from certain faculties of the previous recognised college, St Patrick’s College, Maynooth. These reforms also removed the prohibition on theology that had been imposed on the National University and its predecessors. Applicants must have completed a high school qualification equivalent to the Irish Leaving Certificate prior to entry. 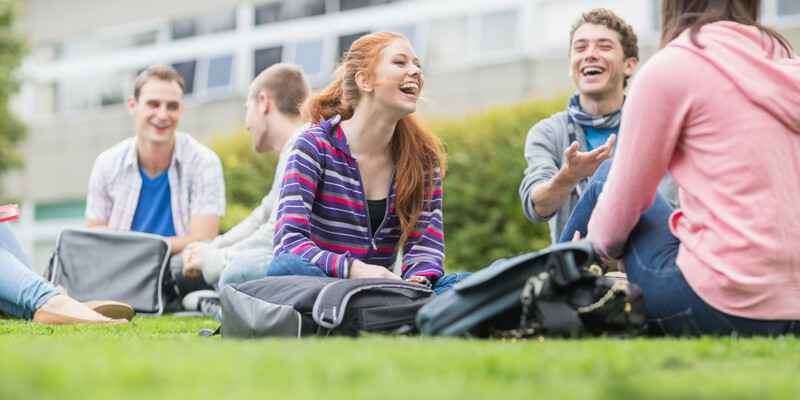 The university specifies UK applicants have at least 2 A Levels at grade C or above as well as 4 GCSEs in recognised subjects at grade C or above. Each course will have its own specific entry requirements and prospective students should consult the university’s webpages for more details. Postgraduate course entry requirements do vary but ordinarily applicants will have a good honours degree in a relevant subject. All applicants whose first language is not English must prove English Language ability via IELTS or TOEFL. Science and Engineering applicants must have a minimum IELTS score of 6.0 (with no less than 5.5 on any section) or TOEFL score of at least 80. All other applicants must have an IELTS score of at least 6.5 (with no less than 5.5 on any section) and a TOEFL score of at least 92. NUI Galway offers over 40 undergraduate courses across the following colleges and schools: College of Arts, Social Sciences & Celtic Studies; College of Medicine, Nursing & Health Sciences; College of Business, Public Policy & Law; College of Engineering & Informatics; College of Science; Adult Learning & Professional Development. NUI Galway ranks at 271 in the QS World University Rankings 2015-16. The university is particularly well noted for its Engineering & Technology offering. Top quality teaching is their number one priority at NUI Galway. Their lecturers are working at the forefront of their subject area, bringing the latest ideas and discoveries into the lecture theatre. Their students are challenged to achieve their full potential by taking an active part in their learning. Their commitment to excellence in teaching and research attracts high-calibre students from all over the world. More than 2,000 international students from over 90 countries, choose to study here. They aim is to provide students of NUI Galway with a quality career guidance and information service focused on facilitating and empowering them to manage their own career development and make effective career transitions. They hold a large number of events each semester and have many graduate employers on campus. Students and recent graduates can use Careers Connect to view events, job / internship / funding opportunities and students can also use it to book an appointment with one of their team.